Has there been a month that demands so different needs from your wardrobe? Is there any time when you need to be on a black or grey tie for a Monday look, an appropriate cocktail attire for a Thursday and a dinner look for a Friday? Well the answer is no. Good enough we’ve been able to come up with some of the best suggestions for a fabulous party look. There’s something that feels a bit weird about changing your outfit before going out with the same people who’ve just watched you scurry into the loos to put on something new – and the easiest way to avoid such a dilemma? Wear something fabulous to work. Christopher Kane’s suiting, dripping with diamanté, will ensure you improve everyone’s mood on the tube in the morning, as well looking dazzling for drinking. Sleak twenty slip dresses are particularly appealing this period, but still require a practical piece of outwear to ensure you avoid frostbite. Givenchy’s is a very good, and thoroughly practical, option. Channel Joan Crawford and marry yours with jazz-age heels and Art Deco accessories. To look elegant for a cocktail event, wide legged trousers and skin-tight bodysuits are always dapper. A laura Lombardi chain, Bienen-Davis clutch and The Row’s silk satin trousers: nothing could be more remarkably chic. If you decide to go all out for the eve of the New Year, Alexander Vautheir should be ypur best choice. 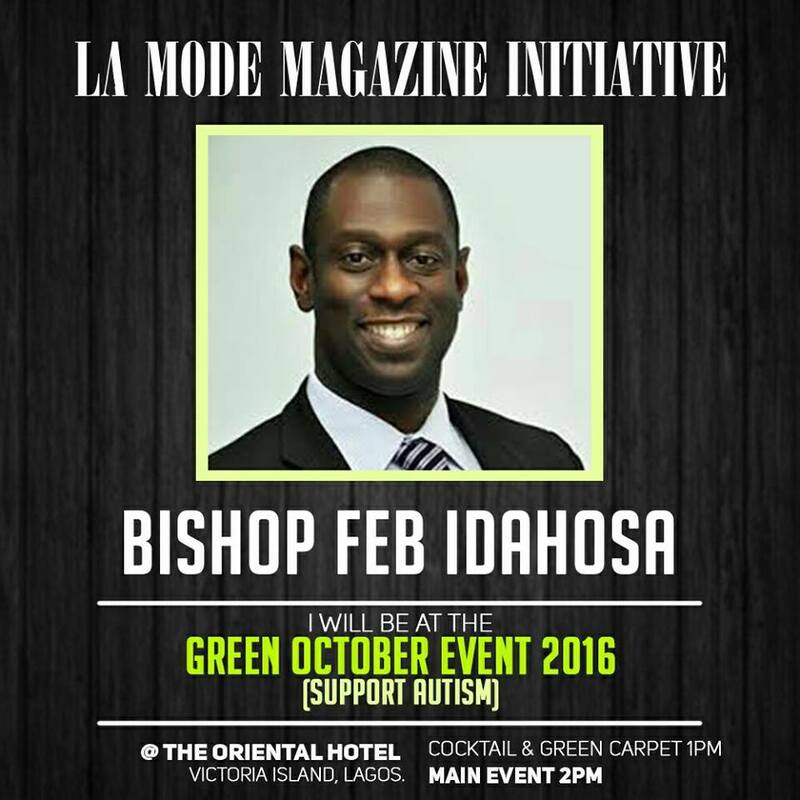 His plunge neck, thigh-skimming micro-mini with towering Tom Ford stilettos and a blood-red Gucci handbag for a vampy glam..
Bishop Feb Idahosa Will Be At The La Mode Magazine Green October Event 2016 Edition!